I’ve said for a while that the evaluations you receive and give at a Toastmasters meeting are Toastmasters’ secret sauce. Immediate feedback has always been recognized as the best way to learn. That reinforcement of your good skills and a look at what could be done to improve make you better faster than everything else. The evaluation has 2 parts. The verbal evaluation is the speech that’s given during the club meeting. 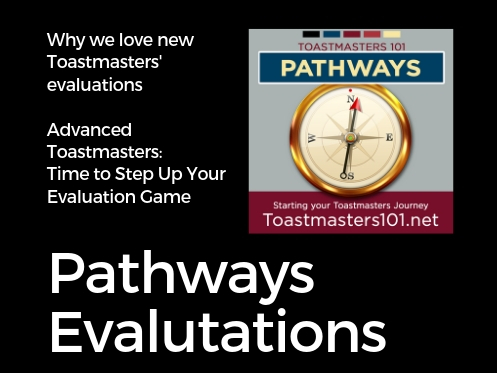 The written evaluation is a form you’ll download from the Pathways website for the evaluator to take notes on and return to you after the meeting. 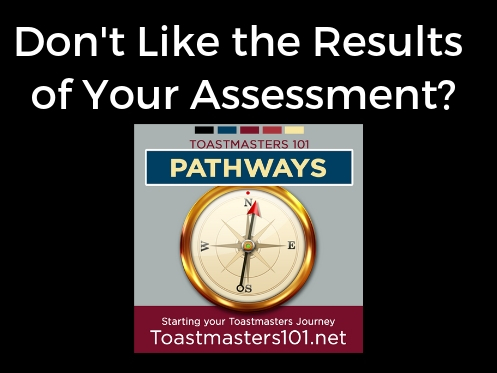 Don’t Like the Results of Your Assessment? 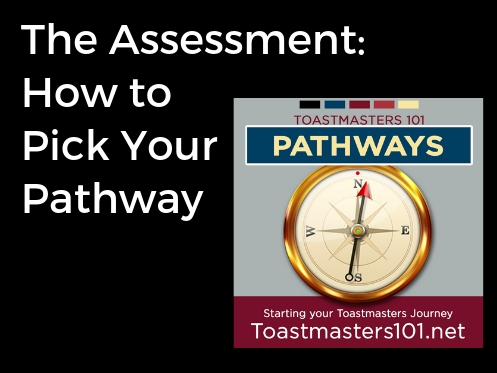 In the last podcast, I talked about the Pathways assessment. I mentioned you’re not stuck with their recommendations if you don’t like the results of your assessment. There are plenty of reasons not to like the choices they offer you. A 25 question assessment is only so good. It doesn’t read your mind or know your future. 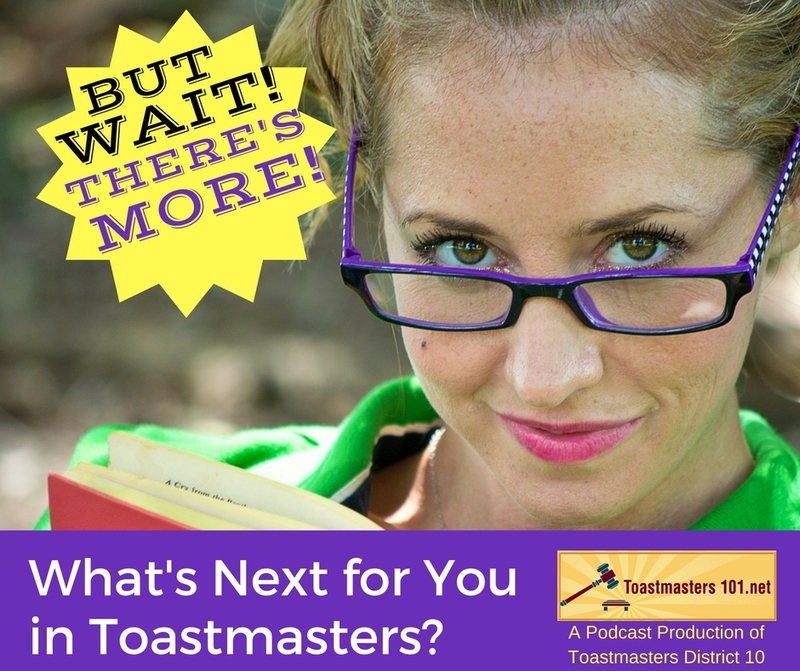 Toastmasters has been around nearly 100 years. As a leader in the public speaking field, it has taught millions of people around the world. In the past two years, Toastmasters has rolled out its newest education program PATHWAYS. 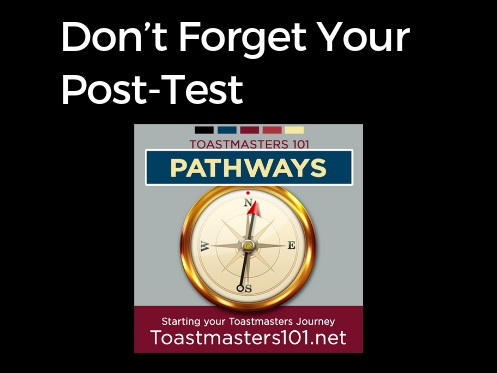 Using modern technology and updated techniques, Pathways has expanded Toastmasters beyond the manuals that were developed decades ago. Incorporating leadership training in almost every program, now Toastmasters will build their leadership and public speaking skills together. 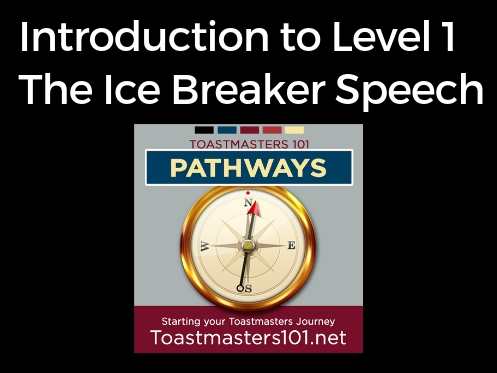 In the past, Toastmasters 101 focused on the Competent Communicator manual. However, the manual is no longer available for purchase and will be totally phased out by July, 2020. We have kept up the podcasts that talk about the CC Manual because the content – public speaking skills – hasn’t changed. It’s just now introduced in new ways in Pathways. 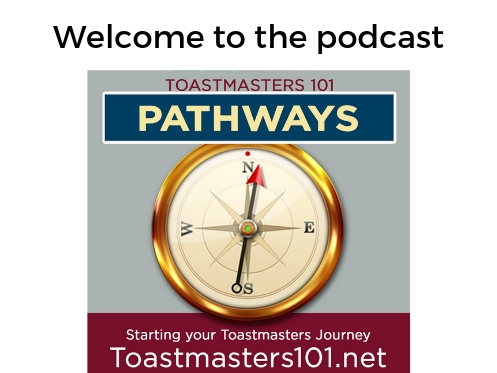 Welcome to the New Toastmasters 101 Podcast. We will be introducing the newest podcasts featuring Pathways soon. 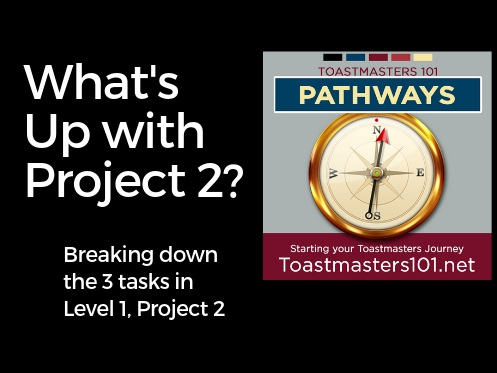 These short podcasts will cover a few details about each of the Pathways and various levels and projects. Each podcast will be short to focus on only one topic. We will cover many others with our podcasts.